As a busy mom, weekly meal planning is an essential part of my week. A beloved reoccurring theme in my household? Taco Tuesday. We’ve had chicken, steak, beef, fish and even duck tacos, and still, everyone gets excited to gather around the dinner table come Tuesday. 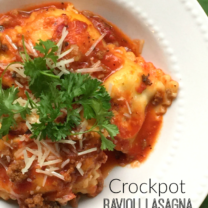 Last week, I wanted to try a new dish for our Tuesday dinner, so I broke out my trusty crockpot and got to work. This recipe is super simple, with virtually no prep work. 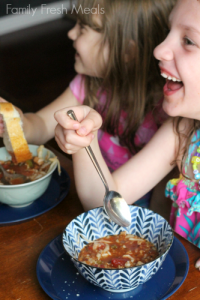 Are you ready for an instant family favorite? 1. Cook ground beef over medium-high heat, stirring frequently, until beef is thoroughly cooked and drain. 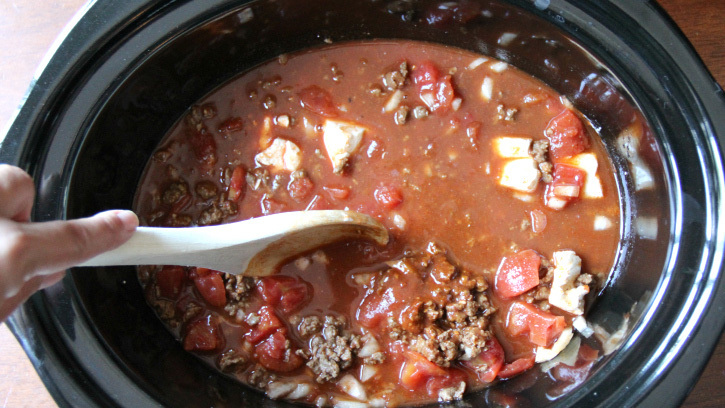 Place cooked beef, beef broth, water, taco seasoning, diced tomatoes, onion, garlic, Old El Paso® Chile & Roasted Garlic Cooking Sauce and cream cheese into a 5-6 quart slow cooker. Stir until well combined. 2. Cover; cook on low heat setting 4-5 hours. When about 15 minutes are left, cook and drain pasta as directed on package. 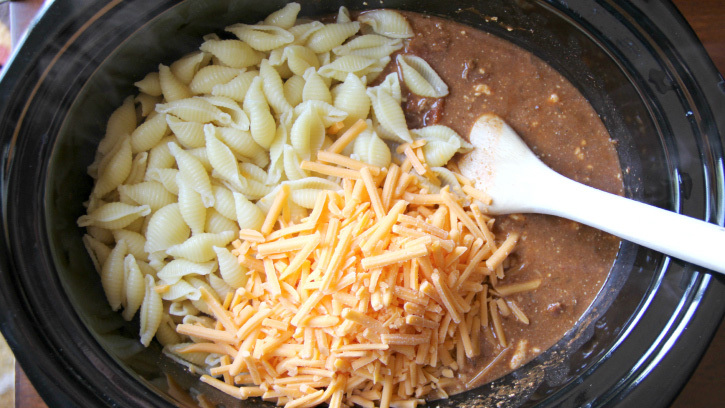 Uncover crockpot and stir in pasta and shredded cheese. Stir until well combined. Continue to cook, uncovered for 10-15 more minutes, or until cheese has melted. 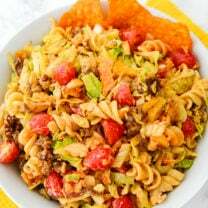 Top with optional sour cream, salsa or shredded cheese and enjoy! 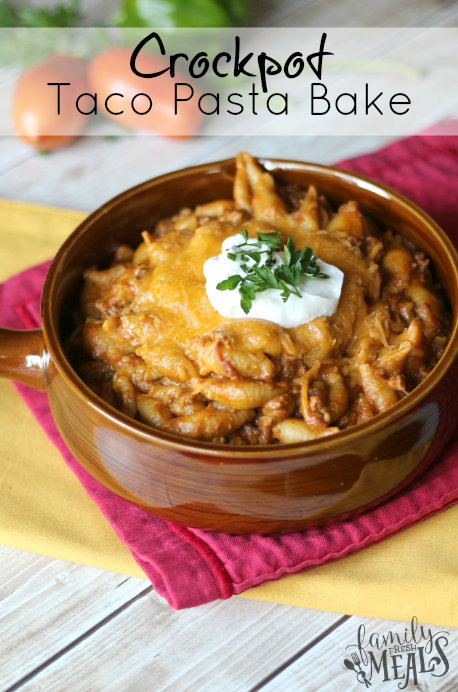 This Easy Crockpot Taco Pasta Bake is super simple, with virtually no prep work. 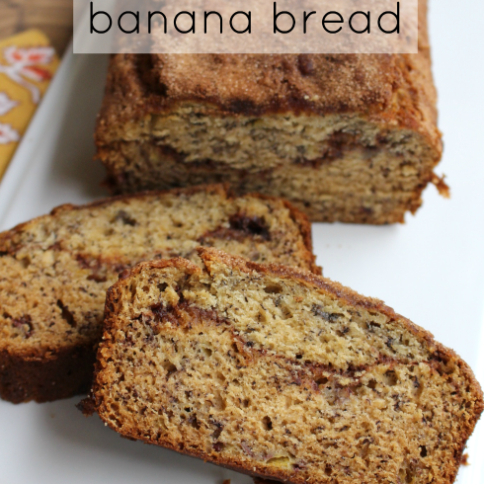 This go to recipe will be an instant family favorite! Cook ground beef over medium-high heat, stirring frequently, until beef is thoroughly cooked; drain. Cover; cook on low heat setting 4-5 hours. When about 15 minutes are left, cook and drain pasta as directed on package. Uncover crockpot and stir in pasta and shredded cheese. Stir until well combined. Continue to cook, uncovered for 10-15 more minutes, or until cheese has melted. Top with optional sour cream, salsa or shredded cheese. Recipe originally developed for BettyCrocker.com Check out my other recipes for developed for Betty HERE! Hi. I wasn’t able to find the El Paso cooking sauce in my area. I don’t know how old this post is, but are you still able to find it? I was thinking it might be a discontinued item have you ever made it with a different sauce? If yes, which one? Thanks you. Yummy, yummy, yummy! My wife and me love this! @Marie- look in the Mexican Isle for a brand Frontera. It will be in a pouch. Red Chile Enchilada Sauce w/Roasted Tomato+Garlic is a delicious one. But there are other options too. do you have any of these recipes published in any cook books? I made this tonight. Definitely kid AND hubby approved meal. Had to take out a bit of liquid but I added most of it back to get the right consistency as it’s on the picture. Probably only have a cup of liquid I didn’t put in. I dont eat dairy/cream cheese. Any ideas for a substitute for that ingredient to make sauce creamy-like? made this tonight put it in the pot around 330/4 however 4 hours later i learned i forgot to plug the pot in 🙂 take out for tonight but tomorrow hoping this will be worth the wait!! I accidentally put the cheese in right at the beginning 🙁 hopefully this still turns out because it looks so delicious!!! 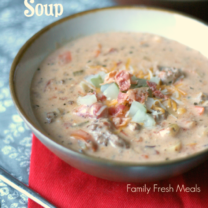 Made this today – it is incredibly tasty, savory and indulgent! That Enchilada sauce really makes a tremendous difference and I’m starting to think about other recipes I can use it in. For others who may be looking for the Enchilada sauce in a packet; like seasonings, please be aware I found it at my local grocery with the taco stuff and it was in a pouch. The pouch I purchased was Frontera and I actually used the full 14 oz it contatined. Anyway this is so so so good. Thanks for sharing! Hi! If I use veggie crumble instead of ground beef, do I still need to cook it beforehand? Thanks! Another fantastic meal!! Love your site! I am so happy I found it! ? Hi! Can I cook it in high? If so, for how long? Yes, I think that would work out just fine! My boyfriend and I both LOVE this recipe. So yummy!!! Can these be made on the stove? My work day schedule doesn’t work with the 4 to 5 hours since I don’t have a programmable crock pot. Thanks! 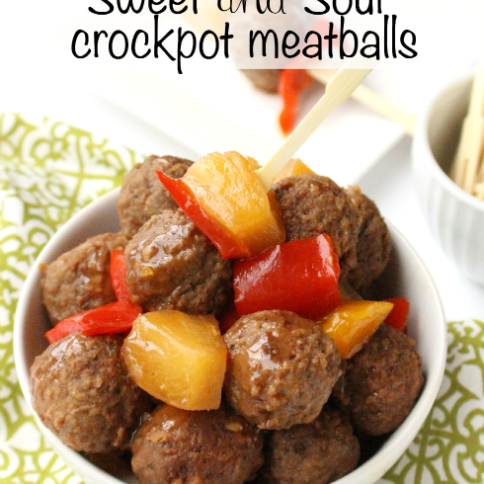 This was very good and like most crockpot meals, even better the next day! Is it 3 cups of uncooked pasta or 3 cups of cooked pasta? It says 3 cups shell noodles, cooked. Delicious ! My family enjoyed it…my husband said it remind home of hamburger helper. I could not find the El Paso sauce ,so I want with enchilada. I also didnt cook using the crockpot either. It still turned out well, I will be cooking this again. Thanks for the recipe? I thought the same, it’s like a Mexican hamburger helper, so good! Mine seems a little soupy. Is it supposed to? The picture doesn’t look soupy. Melissa, it is in step 1. And yes, I think tomato puree would work out well. Made a vegetarianized version of this last night and will definitely be adding it into regular rotation. In place of beef I used some cooked pinto beans, chickpeas, and some veggie ground “beef”. As the “beef” was preseasoned I omitted the taco seasoning. Added a generous amount of frozen leafy greens, some cilantro, omitted the cream cheese and reduced the cheese to 1 cup to reduce the fat amount. I also cooked it a bit longer, 8 hrs as I let it cook overnight while I slept and it worked just fine. 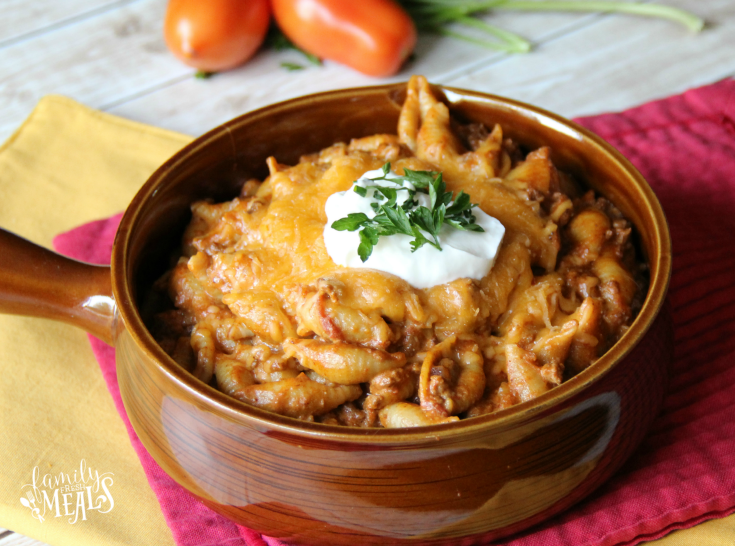 This is such a cozy dish, esp now that fall is here. Thank you for a great, flexible recipe. This looks great! I really want to try it, but I’d have leftovers. Do anyone know if this freezes well? It’d be awesome to have some stashed in the freezer. Thanks in advance! I do not eat red meat but made this for my husband and kids tonight and they LOVED it. I was worried that one pound of beef wouldn’t be enough for a grown man and three hungry teenagers so I doubled the recipe. They all said it was very filling after one bowl but they were super excited to have leftovers for the weekend. I could not find the el paso taco seasoning so I subbed it with a can of red enchilada sauce from Aldi (I would go with 8oz if following the above recipe and 16 oz if doubling). They ate it with doritos, salsa and mexican cheese sprinkled on top and said it was perfect.